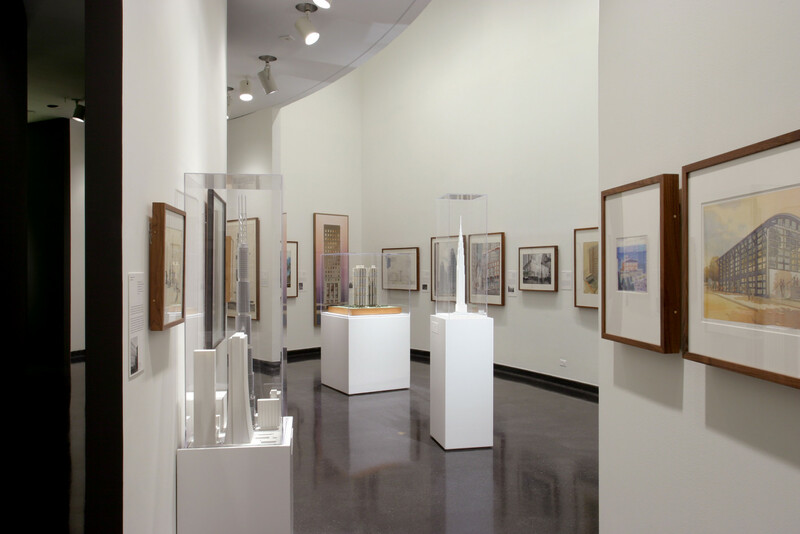 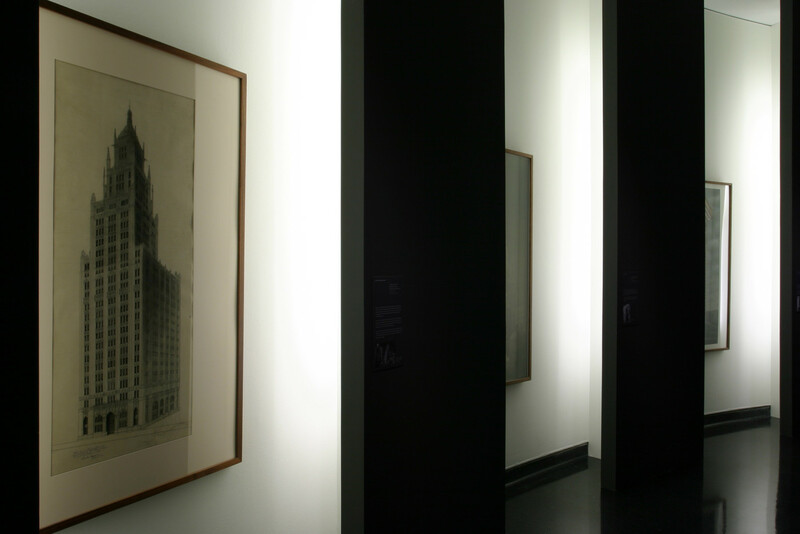 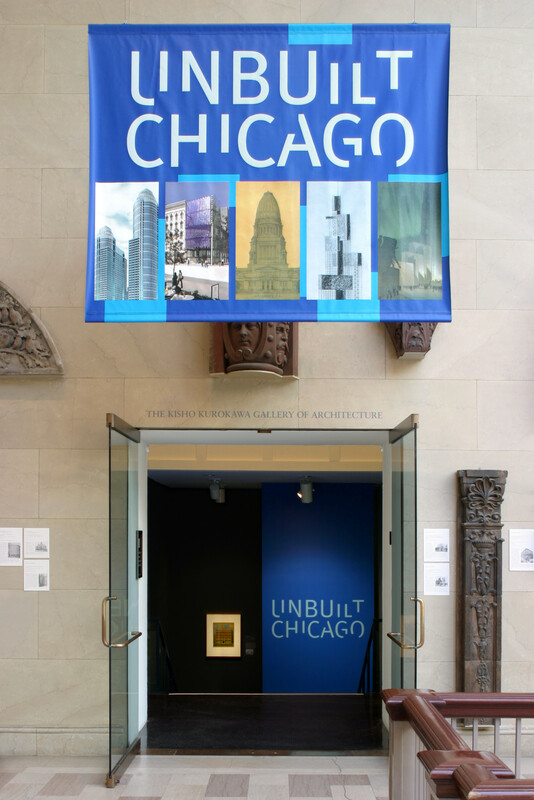 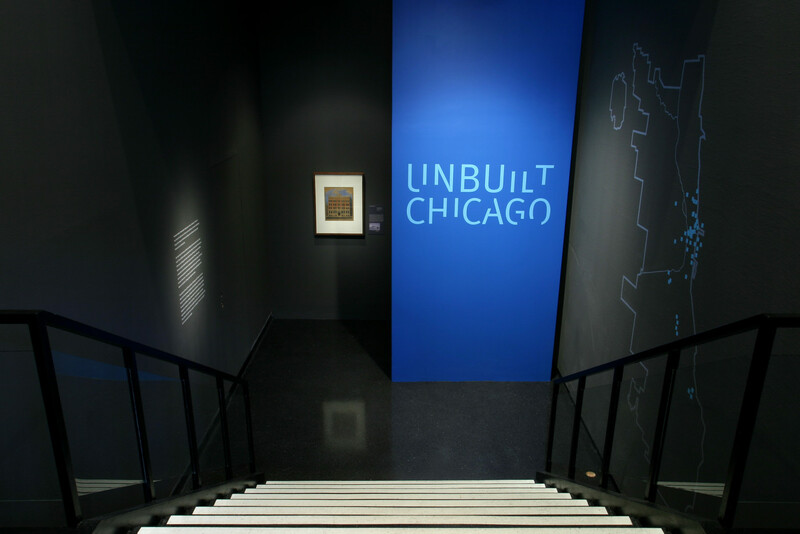 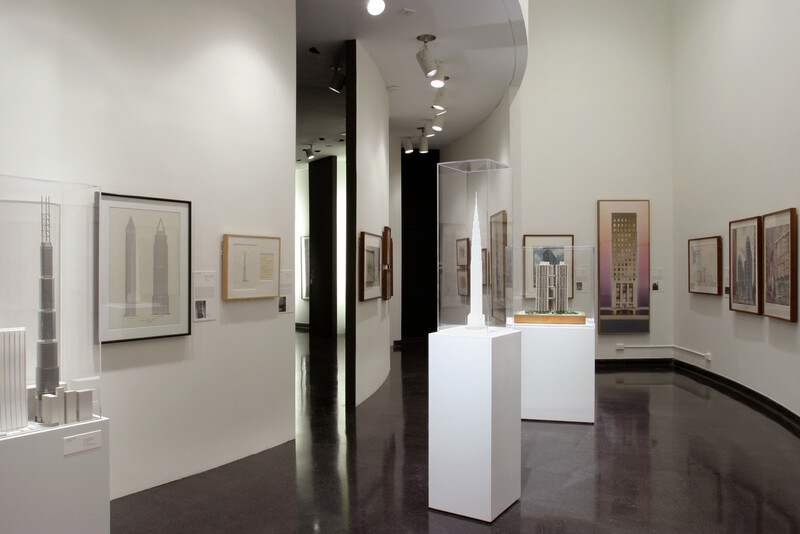 The ‘Unbuilt Chicago’ exhibition in the Kisho Kurokawa Gallery at The Art Institute of Chicago features approximately 90 drawings and 7 models of architectural projects intended for Chicago but were never realized. 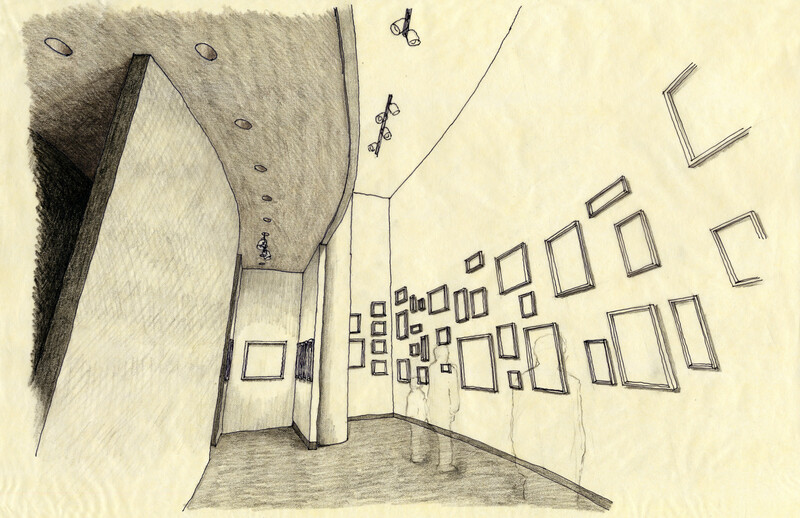 The show opened on April 3, 2004 and closed on January 16, 2005. 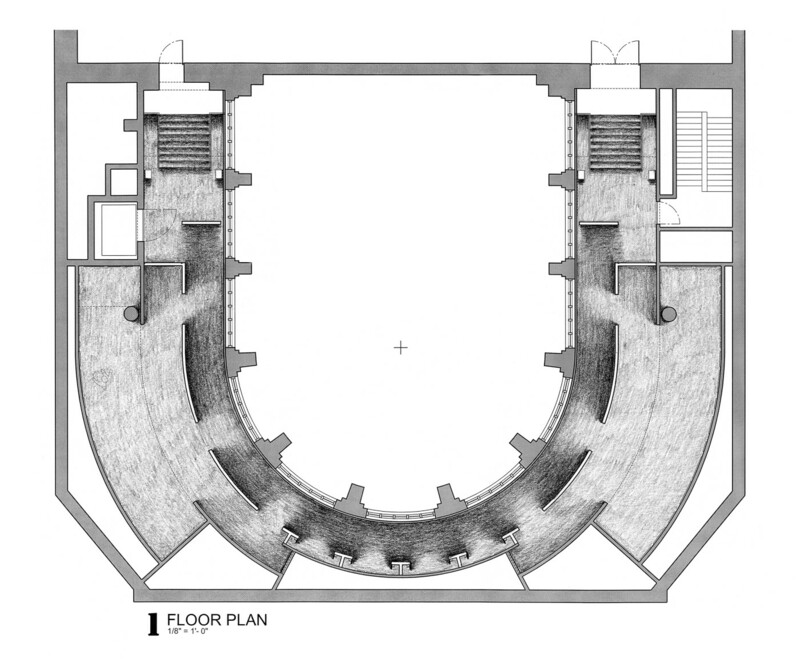 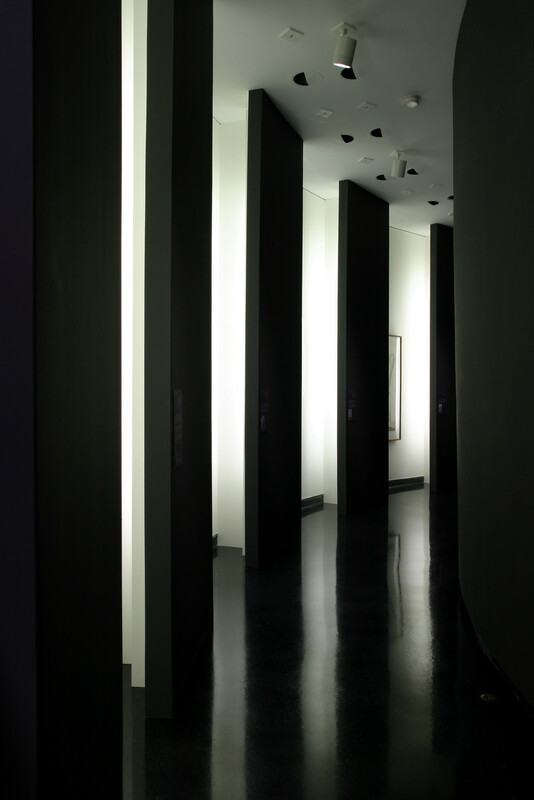 The long, narrow, curved gallery space was sliced into two areas – a dark continuous walkway contrasted with inner brightly lit gallery spaces. 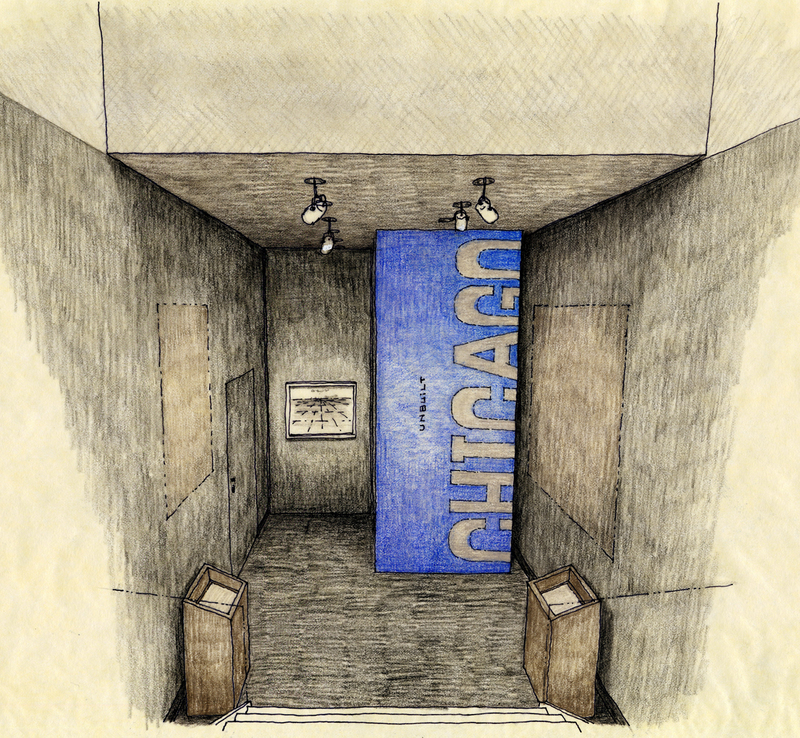 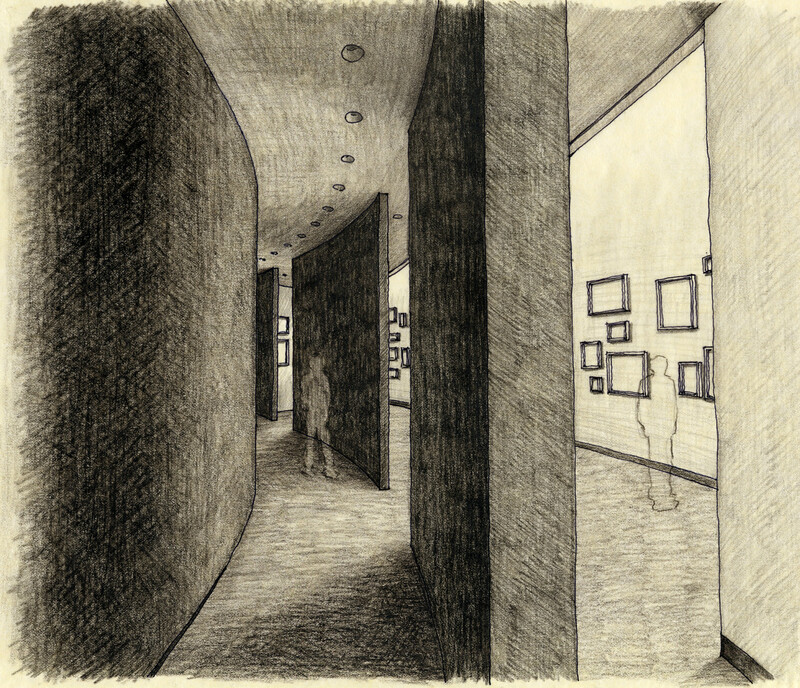 The visitor will explore the space from the compressed and darkened entrance to the galleries as if to find the hidden treasures of lost Chicago.